Our latest release includes a really cool 'Open to Interstitial' or lightbox feature. 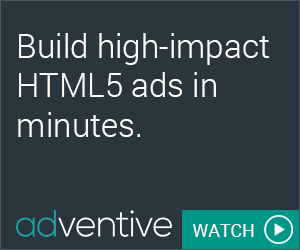 Any element on the ad canvas (text, image asset, hitbox, etc.) can now open a second screen as an interstitial or overlay ad. To build your own, select the target layer and choose 'Open to Interstitial' from the Actions dropdown menu. Just like with the HTML5 Interstitial format, you're able to edit background properties, close on timer and set a custom close button.